ELA.RL.2.4: Describe how words and phrases (e.g., regular beats, alliteration, rhymes, repeated lines) supply rhythm and meaning in a story, poem, or song. ELA.RL.2.6: Acknowledge differences in the points of view of characters, including by speaking in a different voice for each character when reading dialogue aloud. ELA.RL.2.7: Use information gained from the illustrations and words in a print or digital text to demonstrate understanding of its characters, setting, or plot. ELA.RL.2.10: By the end of the year, read and comprehend literature, including stories and poetry, in the grades 2–3 text complexity band proficiently, with scaffolding as needed at the high end of the range. ELA.RI.2.2: Identify the main topic of a multi-paragraph text as well as the focus of specific paragraphs within the text. ELA.RI.2.5: Know and use various text features (e.g., captions, bold print, subheadings, glossaries, indexes, electronic menus, icons) to locate key facts or information in a text efficiently. ELA.RI.2.7: Explain how specific images (e.g., a diagram showing how a machine works) contribute to and clarify a text. 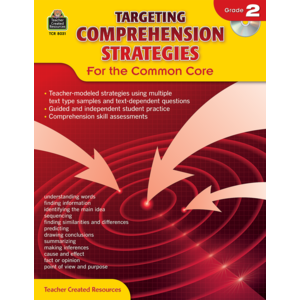 ELA.RI.2.10: By the end of year, read and comprehend informational texts, including history/social studies, science, and technical texts, in the grades 2–3 text complexity band proficiently, with scaffolding as needed at the high end of the range.